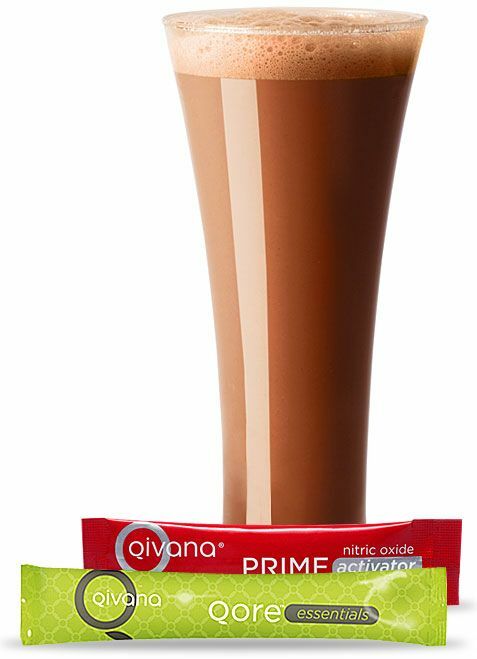 Qivana is pioneering a new approach to natural products. No single product can deliver everything your body needs and that is why Qivana has created Synergistic Health Systems  giving you the power of many products with the simplicity of a single product. Qivana has removed the guesswork while offering efficacy unlike any other company. Our approach ensures you have the perfect blend of nutrition to optimize the performance of your body's different systems. QORE is your foundation for optimal-aging©. Aging well is a choice you must make.QORE makes it easy with a very simple and practical daily regimen offering nutrients tailored to your body's core systems  your heart, immune system and digestive tract. Qivana's METABOLIQ© System is the world's first weight management system clinically proven and scientifically engineered to correct the underlying cause of weight gain  your metabolism. Optimizes muscle building and repair, protecting your deterioration during weight loss. 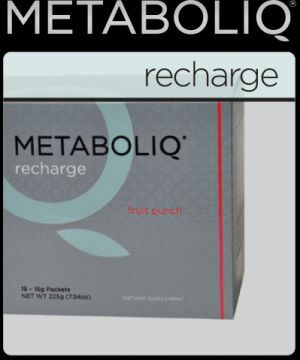 Based on a recent discovery by Dr. Donald K. Layman, Qivana's Metabolic© Recharge is a powerful blend of amino acids ignites the mitochondria in your muscles, increases its fat-burning efficiency, and burns excess fat stores for 2-3 hours at a time. While you may lose weight with fad diet programs and products, you are likely doing more harm than good by losing lean tissues including muscles, organ tissues, and bone mass. Loss of muscle and bone becomes even more dangerous as we get older and lean tissues are more difficult to repair and recover. Without proper nutrition during weight loss to target loss of body fat, the loss of lean tissues (muscles, bones, heart, liver, intestines, and kidneys) reduces your ability to burn calories and eliminate body fat. This makes it more and more difficult to lose weight and keep weight off. Because of our modern food distribution system, and our convenience-oriented and indulgent society, weight management must become a daily, deliberate, and conscious process. It doesn't need to be complicated or difficult, but healthy and successful weight management must be a lifestyle decision. Qivana is dedicated to providing real solutions to healthy and sustainable weight loss and to creating lifestyle habits that will help you regain your health for life. Stimulates, protects, and properly nourishes your lean muscle tissues for fat burning. Naturally melts away fat by resetting and recharging your metabolism. Leads to a sustainable, improved body shape and composition within weeks. Eliminates hunger pangs, energy crashes, and unhealthy food cravings. Burns excess fat stores for 2-3 hours at a time. Doubles your body's fat-burning period (from 2-3 hours to 4-6 hours). Reduces fat storage and accelerates fat loss. Increases the fat-burning efficiency of mitochondria in muscles. Fructose, Citric Acid, Natural Flavors, Malic Acid, Beet Root (for colour), Silicon Dioxide, Reb-A (Stevia Extract). Most of us are willing to accept that many things just come along with aging: heart disease, poor memory, lack of energy, cold hands/feet, slower cognition, and sexual problems. The truth is that an incredible molecule, known as Nitric Oxide, can help restore many of these vital functions and processes. Its presence in our body improves blood flow crucial to the healthy function of nearly every organ and tissue in the body. In fact, the discovery of Nitric Oxide's role in cardiovascular was so revolutionary that it was awarded a 1998 Nobel Prize in Medicine. However, after age 40, most of us fail to produce enough nitric oxide... that's where PRIME comes in. PRIME is the most efficient and effective way to restore Nitric Oxide and improve blood flow. Nitric Oxide (N-O) is a messenger molecule, produced in the blood vessels, that tells your arteries and veins to relax and expand, or dilate. Research has shown that your ability to produce Nitric Oxide decreases with age. PRIME is shown to improve your N-O production and allow you to create better blood flow of nutrient-rich blood, making it the key to healthier living. Helps prevent arteries from stiffening and narrowing. I've added this "optional" product to the page as lately so many friends and people I've met have indicated suffering from insomnia. QORE PM is a novel, all-natural sleep aid designed to address the biological problems underlying poor sleep quality. Insomnia and low-quality sleep affect millions of individuals, resulting in lost productivity, poor quality of life, and health complications. Evidence from cutting-edge neurobiology and biopsychology research suggests that changes in endocrine system functioning and the production of brain neurotransmitters disrupt sleep quality. QORE PM corrects these biochemical imbalances, restoring biological equilibrium and improving quality of sleep. Unlike pharmaceutical sleep aids and many other all-natural sleep products, which often produce grogginess or drowsiness upon waking, QORE PM is designed to promote feelings of renewal and freshness. QORE PM achieves this by correcting abnormal sleep cycles and supporting other biological systems related to good health. QORE PM combines a centuries-old formula from Asia, with cutting-edge sleep research, in a balanced formula to address all areas of sleeplessness. Unlike most sleep aids that leave you tired and groggy, QORE PM allows you to wake feeling refreshed and energized. QORE PM helps you get a perfect night's rest, essential for well-being. [Take 1-4 capsules 30 minutes before bedtime. email Geoffrey Gould directly with your phone number contact information.